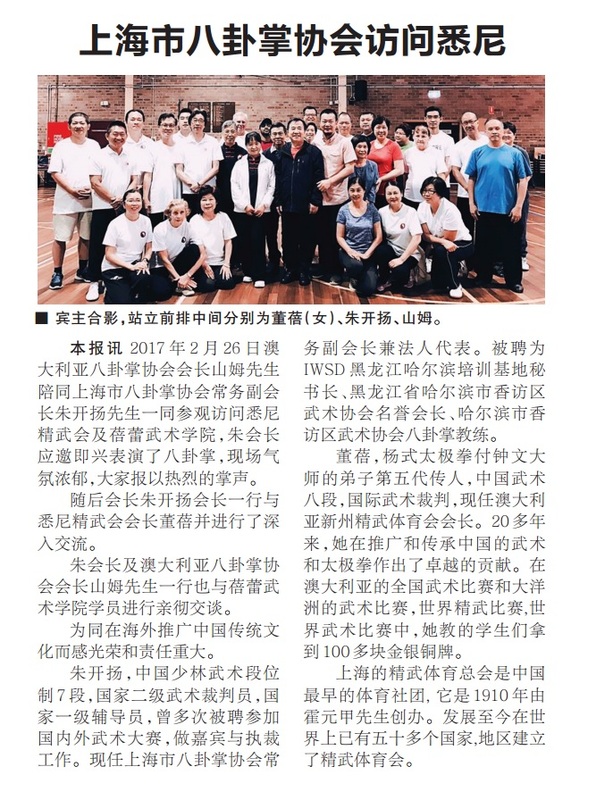 It’s been a very busy period for NSW Chin Woo, starting with our hugely successful Drought Relief event in Eastwood Mall on September 16th. 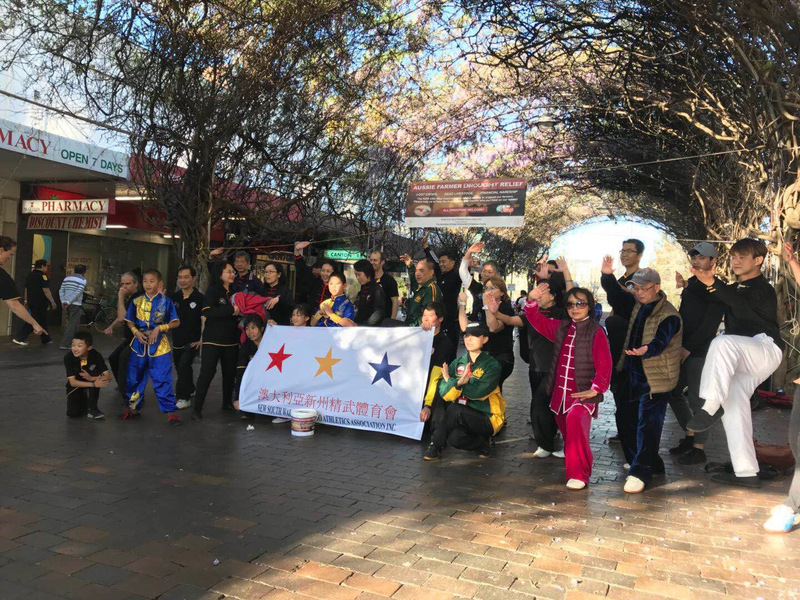 After a wonderful afternoon of Kung Fu & Tai Chi performances, we successfully raised over $2,000 to be donated to Australian farmers effected by the long-running Drought. Thank you to all our members and friends for their contributions to the event! 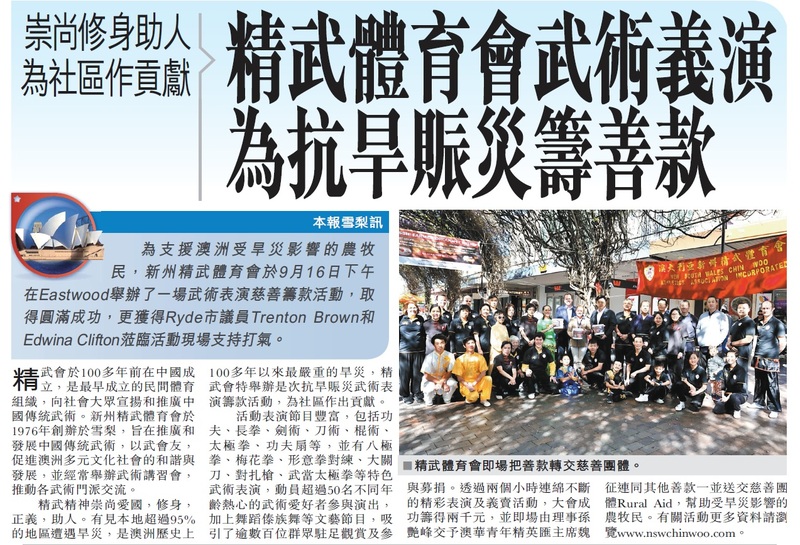 We’ve also been very active for this year’s Moon Festival, with members performing at celebration events in Eastwood, Ryde, Meadowbank and Redfern. 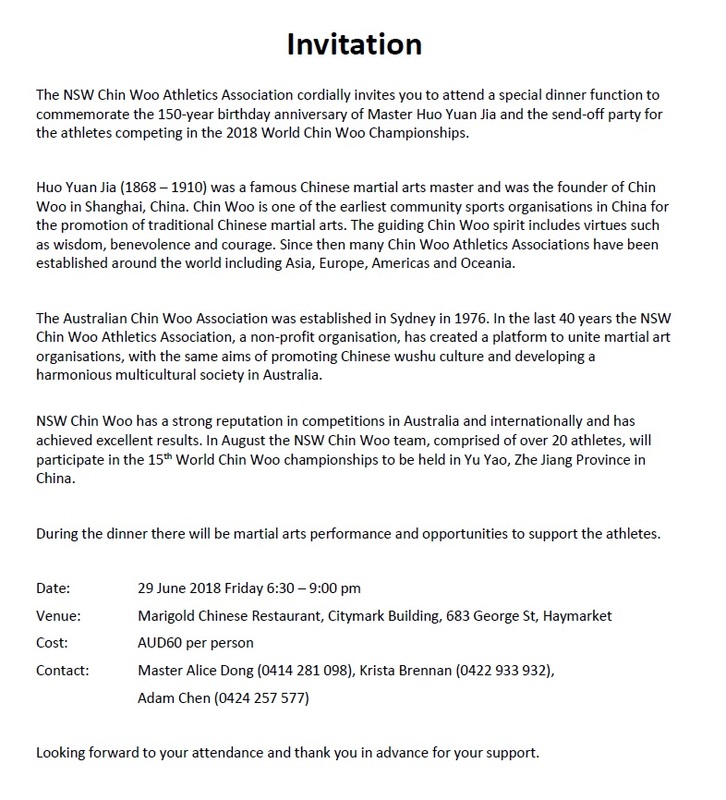 October is shaping up to be an exciting month as well, with a number of NSW Chin Woo members competing in the 2018 IWUF Oceania Championships to be held in Melbourne on October 21st. 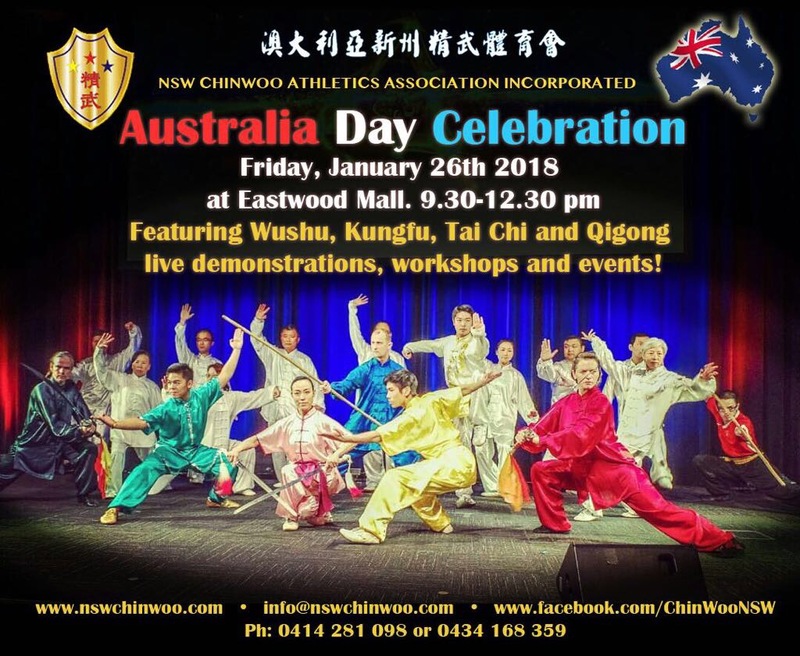 Good luck to all our Chin Woo affiliated athletes! It’s sure to be a great event! This entry was posted in News on October 7, 2018 by Administrator. This entry was posted in News on September 19, 2018 by Administrator. This entry was posted in News on June 14, 2018 by Administrator. This entry was posted in News on January 15, 2018 by Administrator. This entry was posted in News on December 26, 2017 by Administrator. This entry was posted in News on September 6, 2017 by Administrator. Bajiquan Workshop with Master Mark Sun. 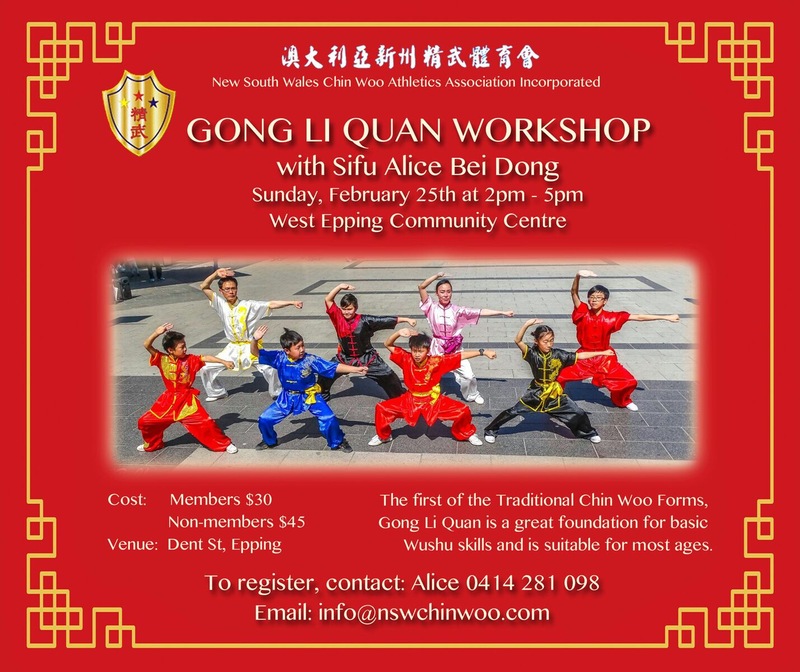 NSW Chin Woo Association is hosting the first workshop of the year: an introduction to the traditional martial art of Bajiquan with instructor Mark Sun. Bajiquan is an explosive, close-range wushu style from the Hebei Province. 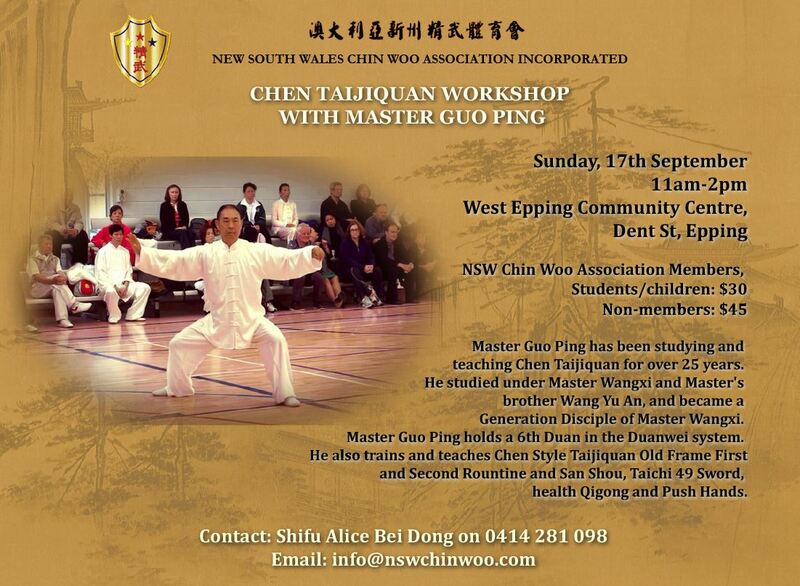 Master Sun is an eight-generation instructor of Bajiquan from Cangzhou and international wushu gold medallist. Where: Wilkins Public School in Marrickville. This entry was posted in News on July 6, 2017 by Administrator. This entry was posted in News on April 25, 2017 by Administrator. This entry was posted in News on March 10, 2017 by Administrator.